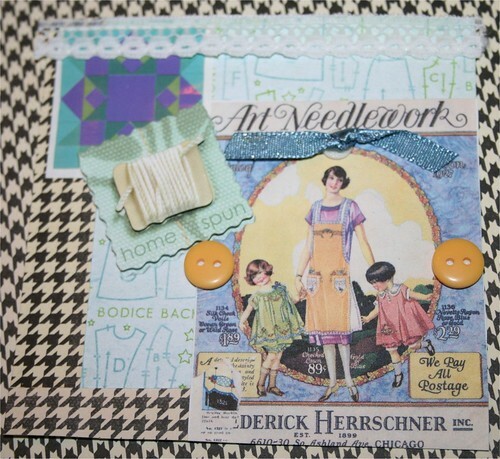 Art Needlework Collage card, originally uploaded by DianthusMoon. Wow!! I can’t believe I’ve made 200 (though I think I’m off one and have done 201). 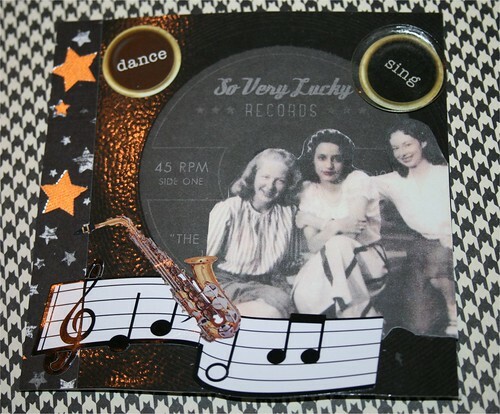 I got some neat scrapbook papers and the patterns on the background set the mood for the card. That’s my mom in the middle with her friends, one of which is named Joan. The vinyl record was so neat I had to do one with it.